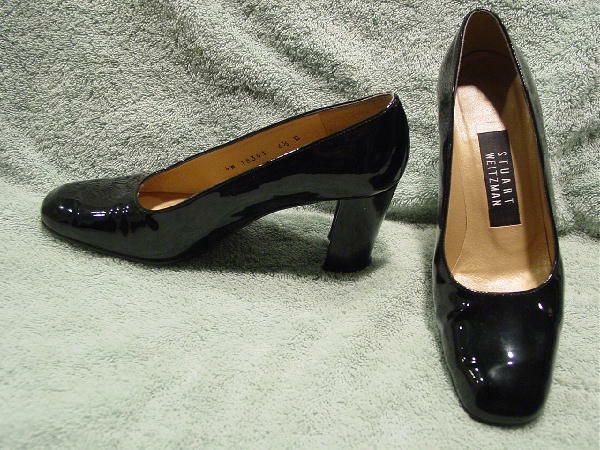 These black patent leather pumps are by Stuart Weitzman. They have modified square toes and boulevard heels. There are leather insoles and soles. Each shoe has a small wrinkle on each toe area. They're from a stylist's inventory, and were worn in a magzine photo shoot.